Peter Vukmirovic Stevens http://petervukmirovicstevens.com is a composer, pianist and multimedia artist. He began studying piano at the age of six and began composing not long afterwards. He is the grandson of opera singer Olga Vukmirovic, who lived and performed in Dubrovnik and Belgrade in the former Yugoslavia. He is a former student of American composer Bern Herbolsheimer (b. 1948), Samuel Jones in Seattle, Washington and Bodhan Bubak in Prague, Czech Republic. Stevens is co-founder of the Seattle Pianist Collective and currently serves as the Artistic Director. In 2013 he was awarded an Artist Residency at Jack Straw Arts to complete his next album for solo viola, Feral Icons, with violist Mara Gearman. In 2012 his Symphony No. 1, was performed by the Port Angeles Symphony Orchestra with Adam Stern conducting. Stevens describes his approach to composing as always searching to strip away the unnecessary and extraneous to reveal simplicity. His compositions include orchestral, chamber, instrumental, choral, piano and electronic works. 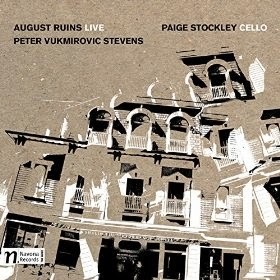 A recent release from Navona Records http://navonarecords.com features a large scale work by Stevens for unaccompanied cello entitled August Ruins. Available only as a download, http://www.amazon.co.uk/Peter-Vukmirovic-Stevens-August-Ruins/dp/B00LJPX73M/ref=sr_1_cc_1?s=aps&ie=UTF8&qid=1415700707&sr=1-1-catcorr&keywords=Peter+Vukmirovic+Stevens August Ruins is in five parts and is a reflection by the composer on modern times. The work is performed here by cellist, Paige Stockley http://paigestockley.com , who performs regularly with the Pacific Northwest Ballet Orchestra and the Auburn and Tacoma Symphony Orchestras and has played with orchestras around the world. She is the founder of the St. Helens String Quartet. The first part of August Ruins for solo cello (2010-2012) takes August Ruins as its title and opens with rich double and multi stopped chords out of which a melody appears. Cellist, Paige Stockley, adeptly handles the changes from upper to lower register whilst providing beautifully rich timbres that contrast with higher, more passionate phrases. Some of the lower passages have a rich, mahogany warmth as the theme is varied before drawing to a close. This is music of deeply felt emotion. Tempus edax rerum (Time, the Devourer of All Things) has a more resolute opening that gives way to a hesitancy before pushing forward again with some beautifully expressive playing from Stockley. The music slows as the theme is ruminated on, with some tremendously written phrases that deliver some enthralling textures and colours from the cello. Soon the music becomes increasingly agitated before some very fine string effects add to the texture. The cellist moves higher in the register slowly building a melancholic appealing passage with lovely phrasing that adds to the emotional pull of this music. Eventually there is a pause before the music moves forward in hesitant phrases, slowly drawing out a heartfelt melody before rapid, tremolo harmonics lead to a sudden end. There is a slow, mournful opening to Etude for Raising the Dead with rich textures very finely played by Stockley. There are more fine textures as the music is developed, with higher phrases full of emotional angst set against deeper, richer phrases. There are some particularly complex, deep phrases superbly handled by Stockley before the tempo increases with a feeling of anxiety, soon returning to the opening rich phrases before speeding to the sudden coda. Versatile Hammers develops a theme from deep in the bass, growing out of the depths with some terrific double stopping and fine textures. There are subtle little harmonic shifts in the texture. Soon the music speeds to a rapidly bowed passage before settling back to a more restrained nature. The music briefly rises to a lighter, section that raises the spirits but returns to the richer textures of earlier. Eventually the tempo increases again, becoming more anxious with subtle little changes always holding the ear, before a sudden coda. 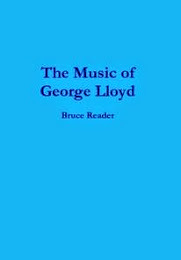 The final section, Thunder, Perfect Mind, slowly develops from a little undulating theme before developing through some finely built harmonies. There are occasional little pauses before the music moves forward again, eventually rising up in a fine passage beautifully played by Stockley. Soon the music becomes increasingly passionate, with Stockley managing to pull every little nuance from the score, particularly in the little insistent bowings where she shows extreme care of dynamics and textures. Towards the end, the music slows to a finely drawn phrase allowing this fine work to end on a note of resolution. This is one of the finest pieces for unaccompanied cello to come along in a long time. Stockley is an impressive soloist drawing much from Stevens’ score. Stevens couldn’t have a better advocate. She receives a clear and detailed live recording that allows the listener to hear every texture and nuance. My download has applause left in on two of the tracks.